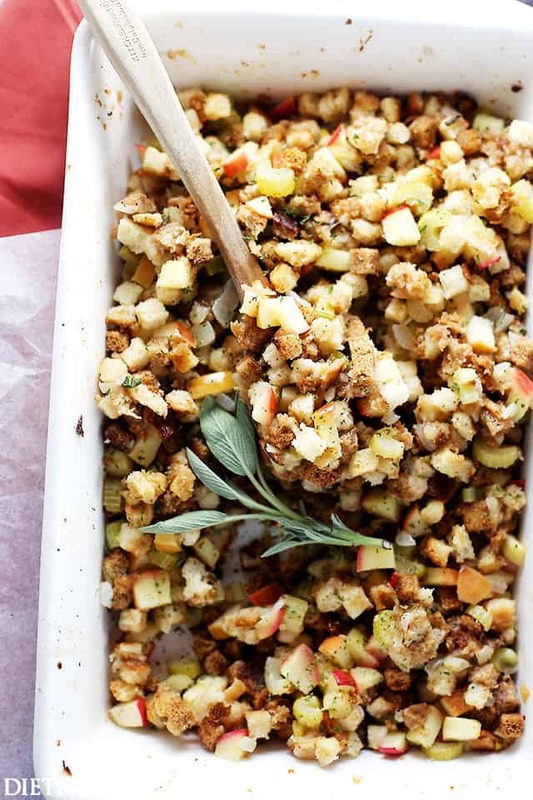 Easy Apple Stuffing Recipe – Very delicious, easy to make turkey stuffing with apples, bread cubes and herbs. A.K.A. MY favorite Stuffing recipe. I wish I could be cool and not so common, but I’m not. I like some sweet in my savory stuffing. Hey Hey, pretty people! Quite the events we’ve had to deal with this past week. I pray that every one of you is well and that we will overcome whatever obstacle is thrown at us. In food news, I have a serious question. Do you stuff the turkey with the stuffing or do you just put the stuffing on your gorgeous Crate & Barrel white platter that comes out twice a year, and arrange it around the bird? I think I’ve stuffed the bird twice. Stuffing is a side dish in my world. I KNOW that it’s technically only “stuffing” when it’s stuffed inside the bird, but to each his own, ya know? Also? Is it still called stuffing or is it now a dressing because it’s around the bird and not in it?? Are you liking my questions? Am I annoying? Clueless, for sure. This dish was part of our “I’m a food-blogger, therefore we must have Thanksgiving dinner before the rest of the country because I need recipes and photos” a few weeks ago and it was awesome. 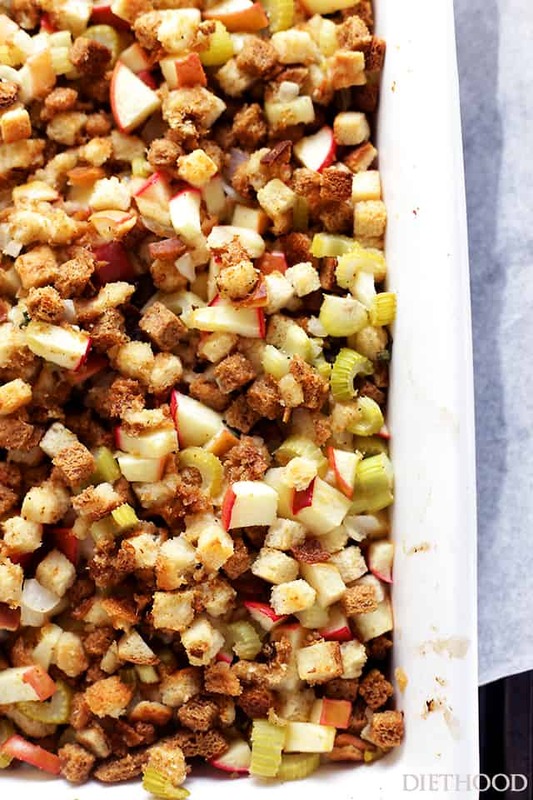 I hadn’t made this stuffing in a couple of years and I knew I wanted something sweet and crunchy, thus the apples were an obvious choice because 1. it’s Fall and 2. the texture! Oh the texture. I knew it would give a bit of pop to the stuffing along with the crunchy celery. 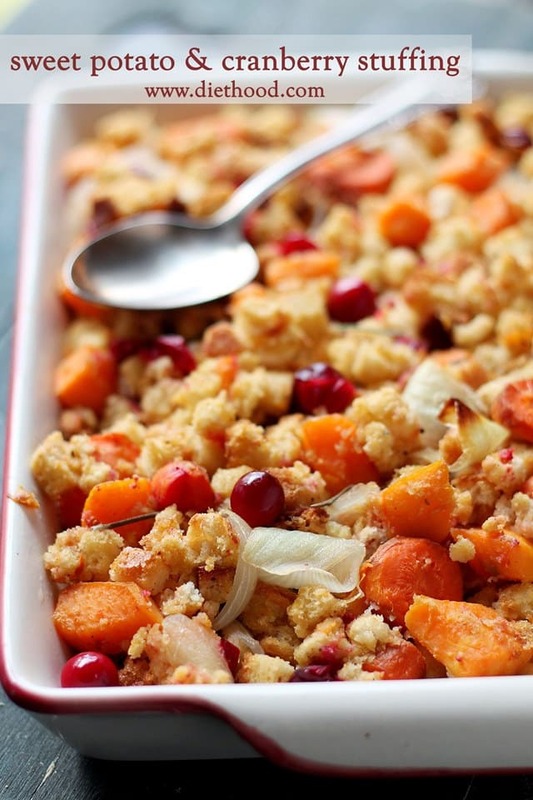 My previous favorite, Sweet Potato Cranberry Stuffing, is awesome, too. Just throwing that out there. So. I was on the fence about my bread options when it came to creating this dish. I was tempted to try some biscuits, but thought about you all, my readers, and I knew we had to go the easier route. Who’s got time to make biscuits just to chop ’em up and throw ’em back in the oven? Not ME! Soooo. Unseasoned STORE-BOUGHT bread cubes it was! HIGH FIVE! I tend to reach for the Pepperidge Farms ones, but you can use whatever floats your Thanksgiving bread boat, as long as it’s dried bread cubes. Crouton-like dried. Are you picking up what I’m throwing down? I hope! And on that note, I would like to eat this whole dish for breakfast. 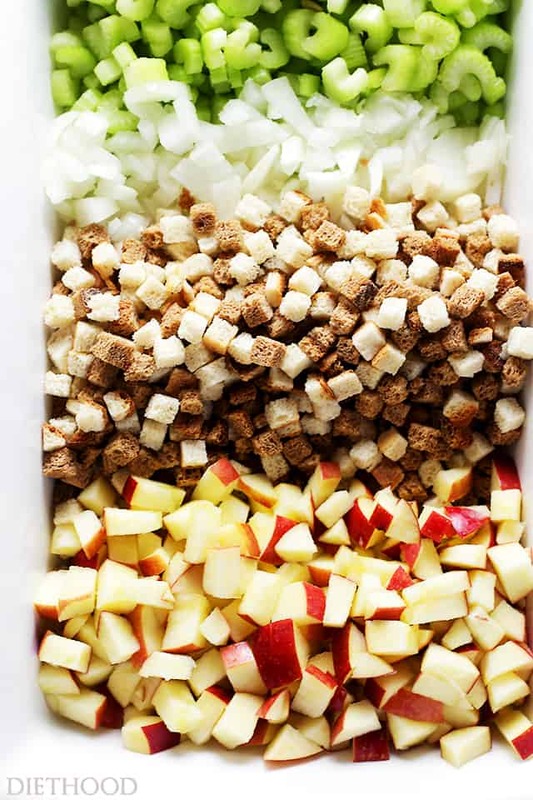 Combine bread cubes, apples and parsley in a large heat-resistant mixing bowl; set aside. Add onions and celery; season with salt and pepper and continue to cook for 4 minutes, or until tender. Add chicken broth and chopped sage; bring mixture to a boil. Remove mixture from heat and add to bread cubes mixture; mix until thoroughly combined and evenly moist. *IF stuffing the turkey, set aside a few cups of the unbaked stuffing. 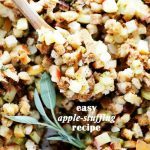 I have been looking for more uses for our bumper crop of apples this year and this wonderful-looking stuffing recipe appeared! Thanks for sharing it, I can’t wait to give it a dry run before Thanksgiving! Would this work if i make it a day in advance before cooking? Hi!! Yes, you can definitely do that, but I find that the texture isn’t quite the same when reheated. I prepare mine right up to the step where it goes into the oven. I then let it cool down to room temp and put it in the fridge. I pop it out of the fridge the next day for about an hour or two, to come to room temp, and then put it in the oven to cook. I hope this helps. Hi Alexandra!! That should say 8 Servings – I just fixed it. Thanks for letting me know that it wasn’t up there!! Hi! So sorry about that! Can you tell me on what post you left that comment? 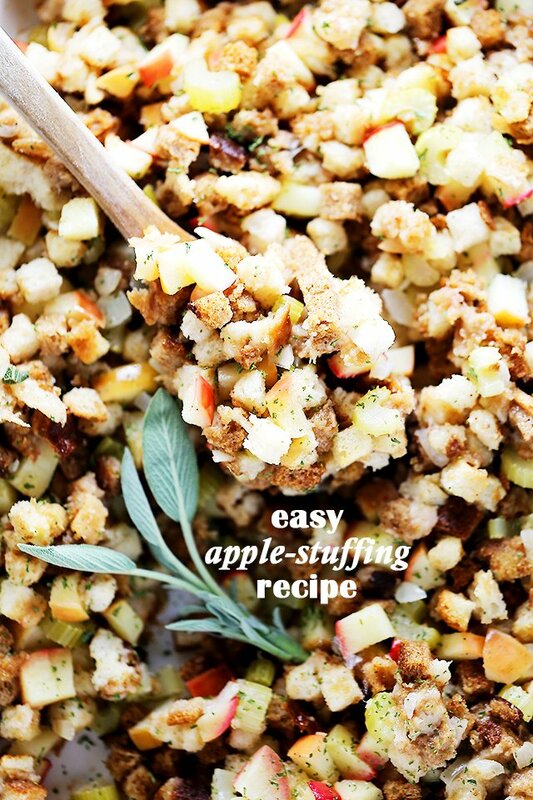 How did you just make stuffing look SO good? I love the addition of apples! I’m the only one that likes creamed onions so I’ll make a few. NOW TIME IS GETTING SHORT – WHERE’S THE TURKEY!! Seriously, your stuffing recipe looks delicious! I’m glad you’re organized so I can borrow some of your recipes this Thanksgiving! YUM! I love love love this flavor combo, and I love these photos (like that’s a shock) 🙂 BEAUTIFUL! 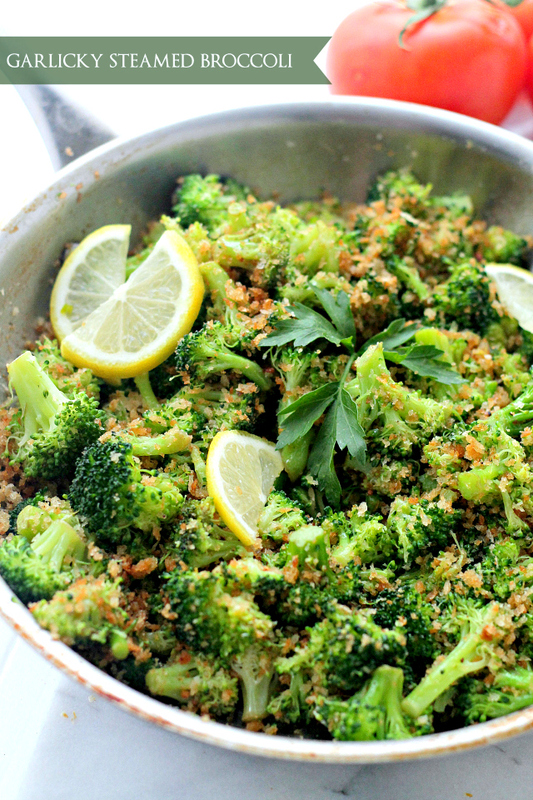 I could eat stuffing every day! I’d give up my turkey for extra stuffing. This apple version looks fantastic! I love sage and this looks so good! !